Have you ever felt the sting of a goal that suddenly seems too hard, or lose your motivation to keep working? You aren’t alone! For the next time you’re feeling that slump, try these tips on how to stay motivated! Stay Motivated Tip #1) Journal it! I am a huge advocate of journaling and using planners to organize life. I talk a lot about this in my Morning Routine post. But, if you are feeling a lack of motivation, don’t wait ’til the morning to journal your thoughts. Get your feelings out ASAP! Grab a piece of paper and a pen or type in the notes section on your phone. Just get your feelings out in the open! Need a few writing prompts to get you focused? You can use my FREE motivation journal! Either print it and write to your heart’s content, or you can fill it out digitally! Grab your free motivation journal below! Be real with yourself and go deep on this one. Like they say, if your goal doesn’t scare you, then you’re not dreaming big enough! Taking a moment to reflect on what you’re working towards can be so powerful! Close your eyes to envision what that is. Think about the day you finish your goal. How do you feel? How has your life positively changed because of it? Having a moment to envision what your life can look like if you take positive steps might be all the motivation you need! It’s important to think about the reason (or reasons) you’re feeling sluggish. If you’re using my Motivation Journal, you’ll have a spot to do this in. Don’t be afraid to be real on this! Even if you know what the reason is in your head, write it down! This makes what you’re thinking all the more real, but easier to deal with. As humans, we naturally want to avoid bad feelings and push them down. It may be hard, but really get to the root of your feeling. As you sit and think, more emotions may come up that you haven’t even thought of. Addressing these feelings head on can be one of the most important ways to get your motivation back up! If you work through your negative feelings, you have no where to go but up! Thanks to social media, especially Instagram, it’s way too easy to see the lives of other people and think you don’t measure up. Seeing this can really drag you down if you’re not careful. Just remember, this is a curated snapshot of people lives. We are all human; we all make mistakes! It may sound almost overly simple, but if there is an account that makes you feel bad then it’s time to unfollow! Even if everyone you know follows them. If an account is making you envious, be good to yourself and unfollow! You should fill your feed with accounts that inspire you or fill you with joy. Even accounts that just make you laugh! I’ve found that a lot of people (myself included!!) have a hard time keeping their living space organized. No matter if you live in a multi-bedroom house, or renting out a room, it’s easy to let life get in the way and have some clutter here and there. When I have a clean house, I know I am able to just relax deeper and think clearer. I can sit on the couch and breathe a little easier. If you’re thinking to yourself, “I agree! Too bad cleaning my house is always a task for me but never gets done” then it’s time to break it down! The task “Clean the house” is WAY too big to have as one to-do. My advice is to break it down as small as you need to. Since everyone is different, a small enough task to someone else may seem massive to you, and that’s ok! Your tasks might vary week to week, but just focus on you! Like I said, I’m a big believer of having a good morning routine and journaling every morning. Sunday mornings are no different! 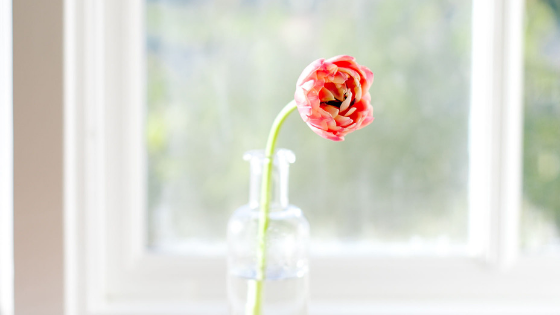 Take an 10 minutes on a Sunday morning and evaluate how much cleaning you need to do. Is it just one room? the living room and bathroom? or the entire house? Depending on your own life, it may vary how to break this down. I would recommend to start small, then if you’re able to, add on more. Choose one room per week and just stick to it! I’ll use the kitchen as an example below. Every day pick a small actionable task and commit yourself to doing it! Sunday: Planning Day! Go through each day in the week and pick just ONE part of the room you want to focus on and assign it a day. Monday: Get ALL your dirty dishes done. It’s good to know how much stuff you have in order to able to organize it! Tuesday: organize dishes pantry. Now that you know how many dishes you need to find space for you can organize appropriately! Wednesday: Organize your food pantry. If you’re working for a healthy lifestyle then this is an absolute must! This would be a good time to do a purge. Is there any processed food that you can give to friends or a food bank? Is there anything expired? It’s time to get rid of it! Thursday: Now that you have the top portion of the kitchen done, work your way down to the counters and organize them! Friday: Get that refrigerator done! Saturday: Take the day off and reflect on all that you have done! I hope this post inspired you to take actionable steps to achieve your goals and to keep your motivation up! If you haven’t yet, make sure to download your free motivation journal below! Have you had any struggles with keeping your motivation up? Let’s keep the real talk going! Let me know in the comments! All good tips Monica. I think it’s helpful to take 1 room and break it down into doable tasks. I really enjoy incorporating mindful techniques into my hectic days. Right?!? It’s SO easy to get overwhelmed if you try to do the whole house! 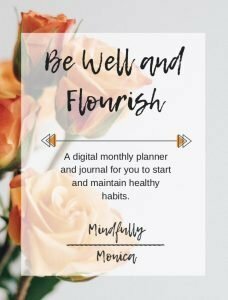 Get motivated with this free journal! Use this journal to figure out why you're lacking motivation and to create a plan to get your productive juices flowing!